If you are a volunteer, these offer creative meal ideas using local ingredients, many of which are also well-received by your Paraguayan counterparts in cooking classes and women’s or kids’ groups. 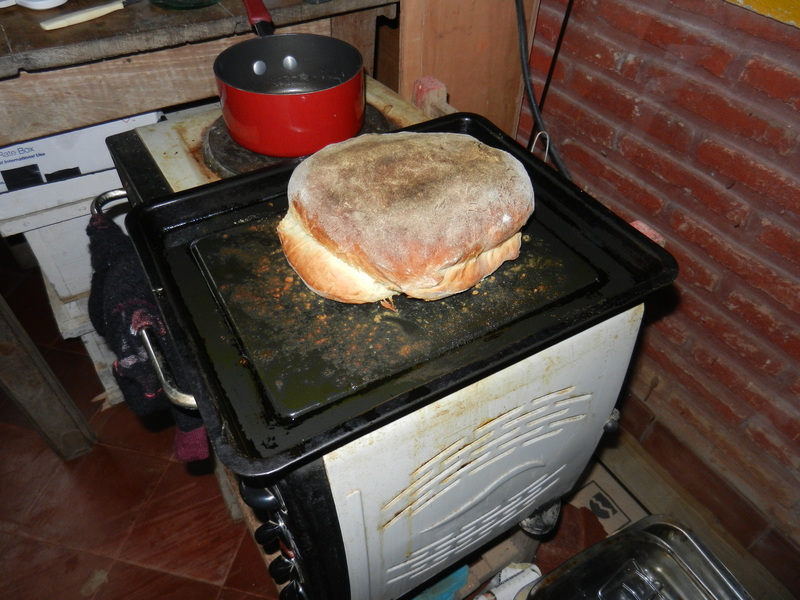 If you’re a PCV and would like to add your favorite Paraguayan recipe, send me a note! Find or order food by phone! 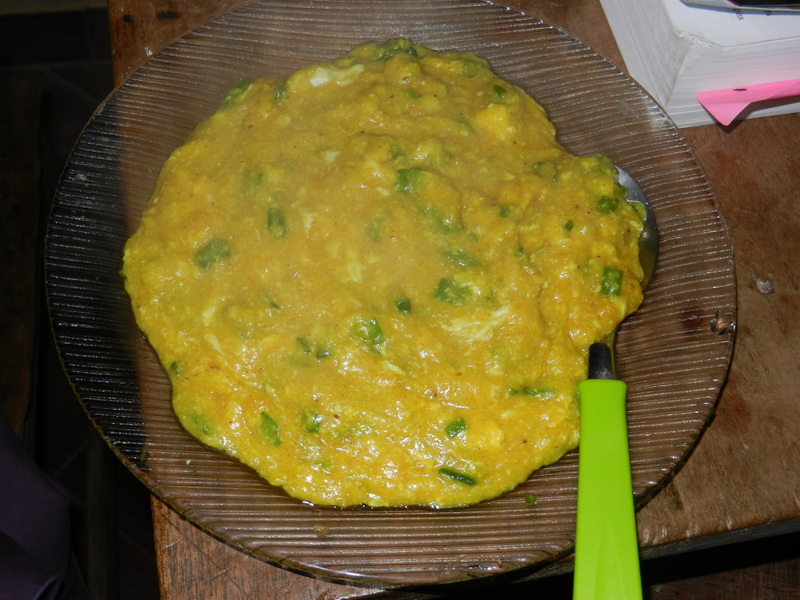 Mandio chyryry (sounds like mandio shoo-doo-doo)- my most favorite traditional Paraguayan dish, which I eat every morning for breakfast! 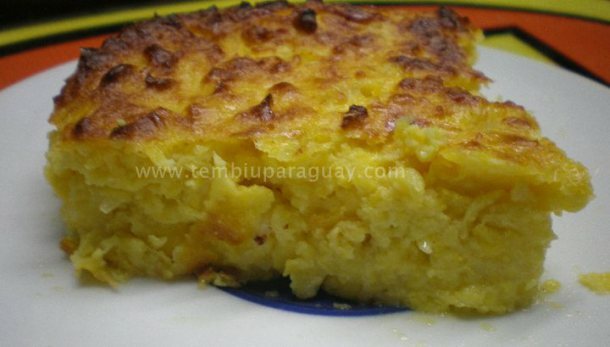 Usually eaten for breakfast on special days (this is not a typical Paraguayan breakfast) but it’s so good, this is one of two favorites Paraguayan kids will request for their birthday lunch too. 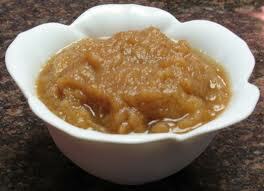 *I recently started adding curry, cayenne pepper and cinnamon – wow! A must-try! Usually eaten for breakfast or as an easy dinner. 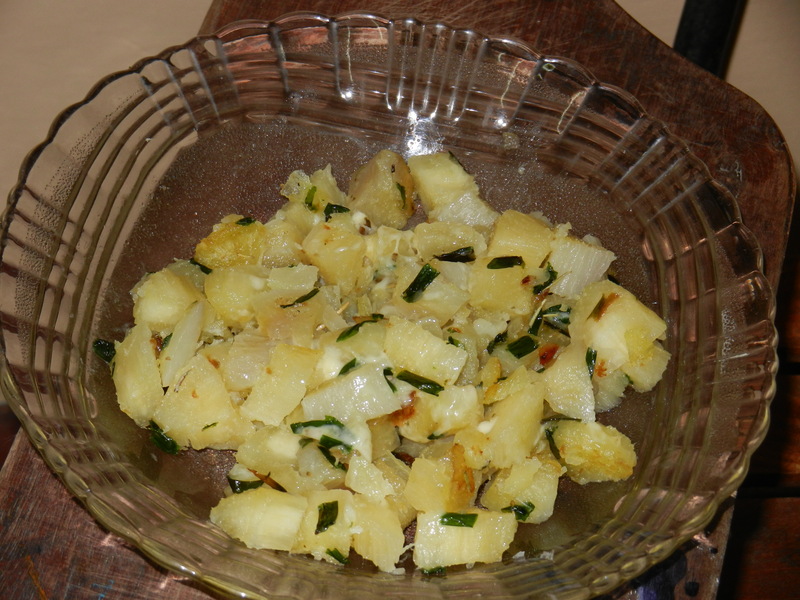 Rorá – a cornmeal dish with onions, egg and your choice of veggie and/or chorizo; some liken it to grits. A great breakfast on a cold day. Usually eaten for breakfast or as an easy dinner. 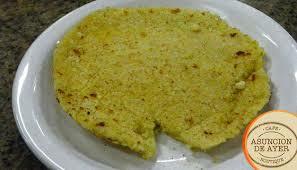 Looks like a crumbly pancake. 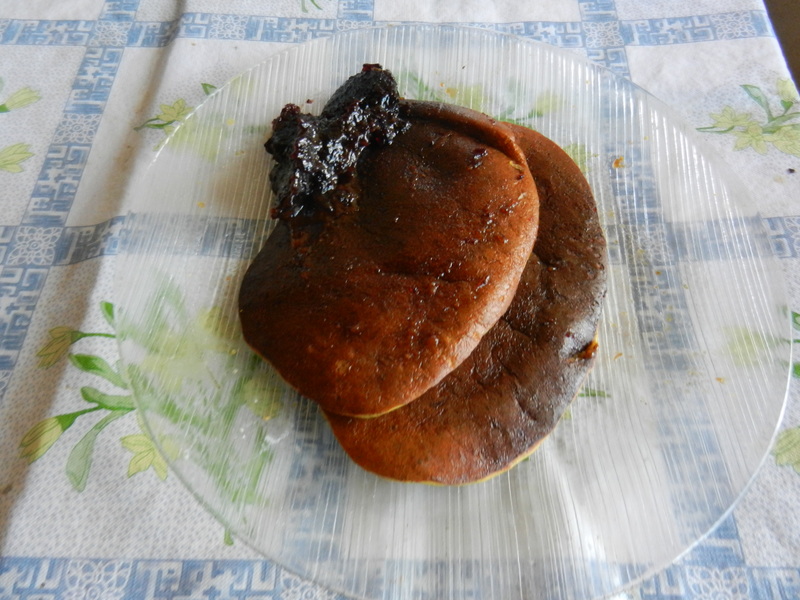 Mix 1 very ripe banana with 2 eggs and sugar to taste. Cook in oiled skillet just like pancakes. 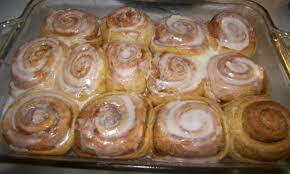 So sweet and moist you won’t need butter or syrup! Meat Slop – Perfect for the meat-eating PCV with inexpensive ingredients you can find anywhere in Paraguay! Only minimal cooking skills required. Boil rice. 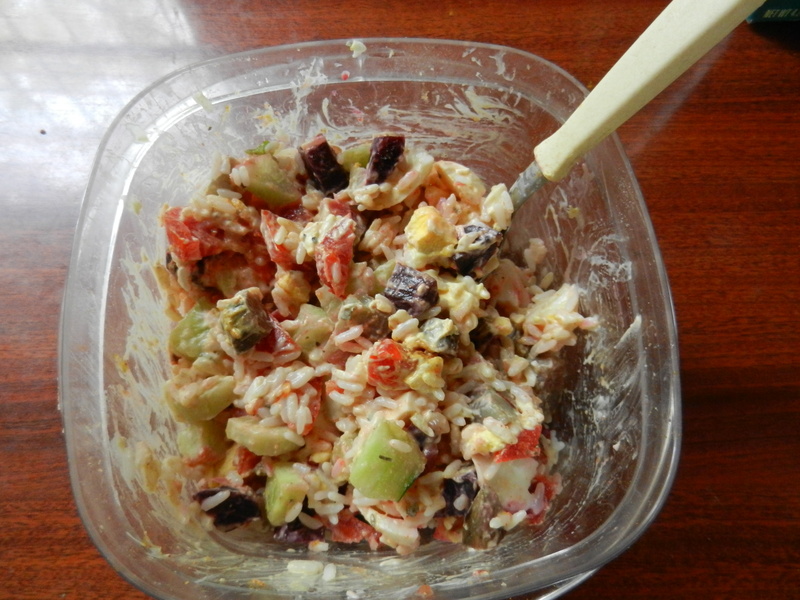 When rice is done, add your preference of cheese, maybe a little salt and pepper and mix in a can of tuna. Sweet Potatoes – a buffet of stuffed sweet potato ideas from Huffington Post. PCVs may not find all the ingredients here in PY but we know they are a creative bunch and will be inspired to make some alternative versions. Enjoy! 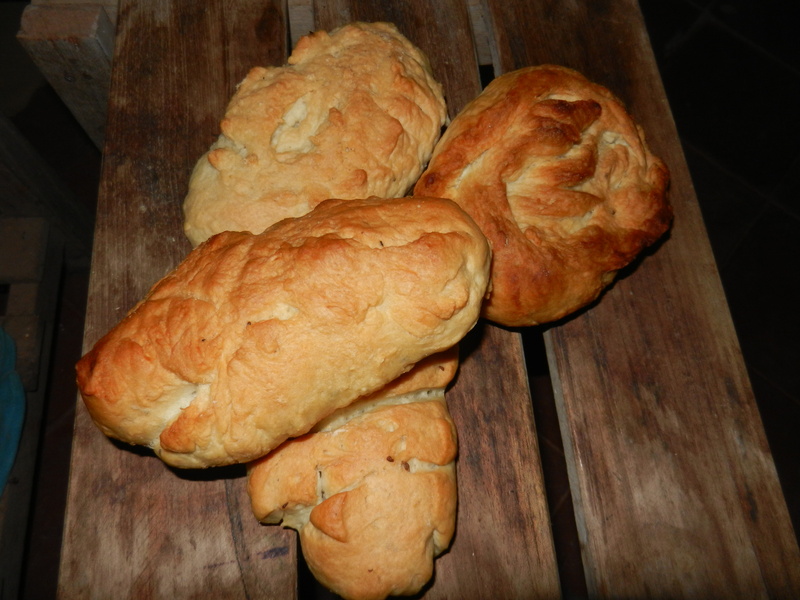 My best friend and fellow Peace Corps Volunteer, Tiffany Larsen, shared this recipe for yeast bread. It also makes great pizza crust (actually makes enough for 3 pizzas or any combo of bread, rolls, pizza you want!) I might have changed the measurements a tad or not. I don’t remember but this is the version I used the other day and it made a large loaf of bread (see photo) and a pizza which both came out DELICIOUS!!! 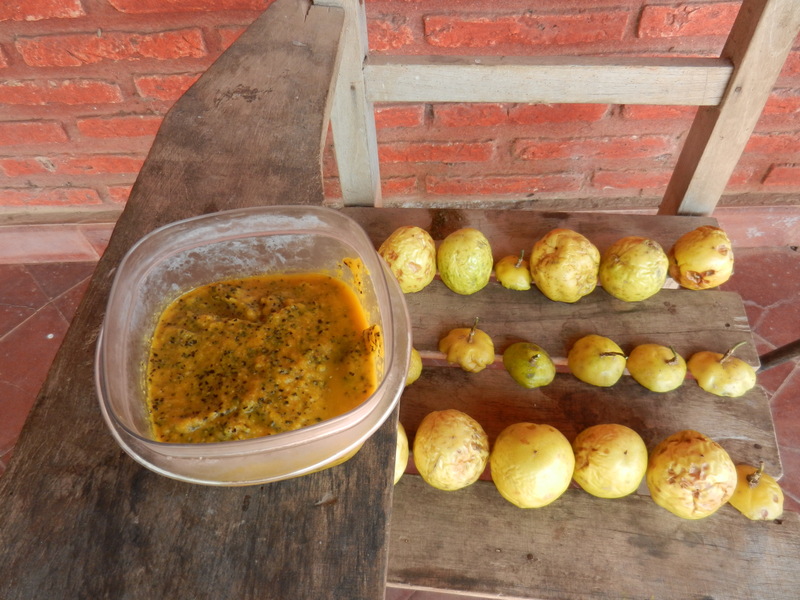 If you are a fellow PCV, this recipe is very popular among local senoras and will make you a hero if you teach your neighbors to make it. Great activity for women’s or kids’ groups, while visiting families, for them to sell as fundraisers, to bring as a potluck contribution, etc. My first loaf of bread since coming to PY. This comes out like applesauce. Quick and easy to make and tasty! 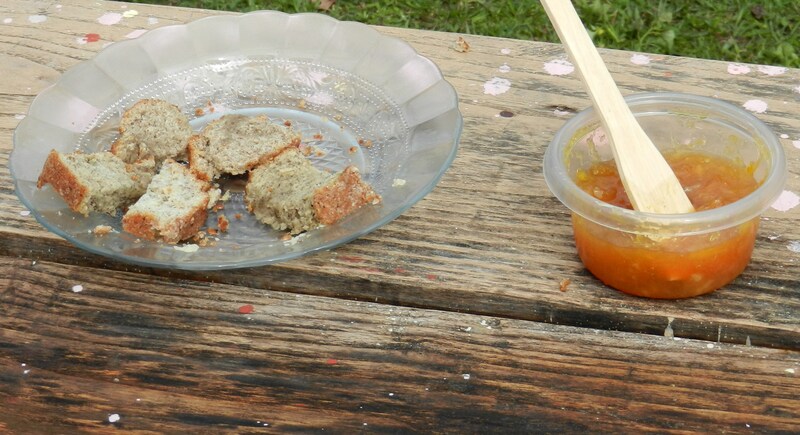 Wendy’s Orange Marmalade – Super easy and wildly popular with Paraguayans! A great project for women’s clubs and cooking classes and practical, yummy way to use extra fruit during citrus season. 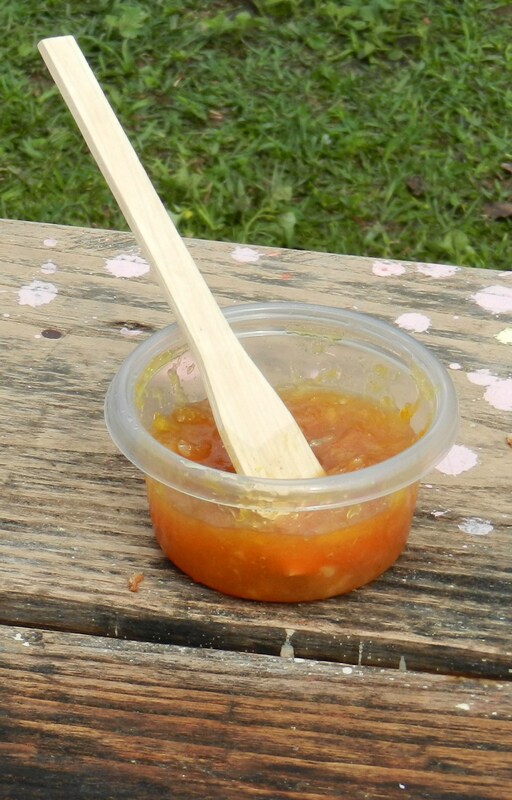 Passion Fruit Marmalade (Mermelada de Mburucuya)- Super easy with minimum sugar! A great project for women’s clubs and cooking classes and practical, yummy way to use extra fruit. Paraguayans have given me a mixed reaction on this. Some love it, some don’t. It’s super refreshing for hot summer days! 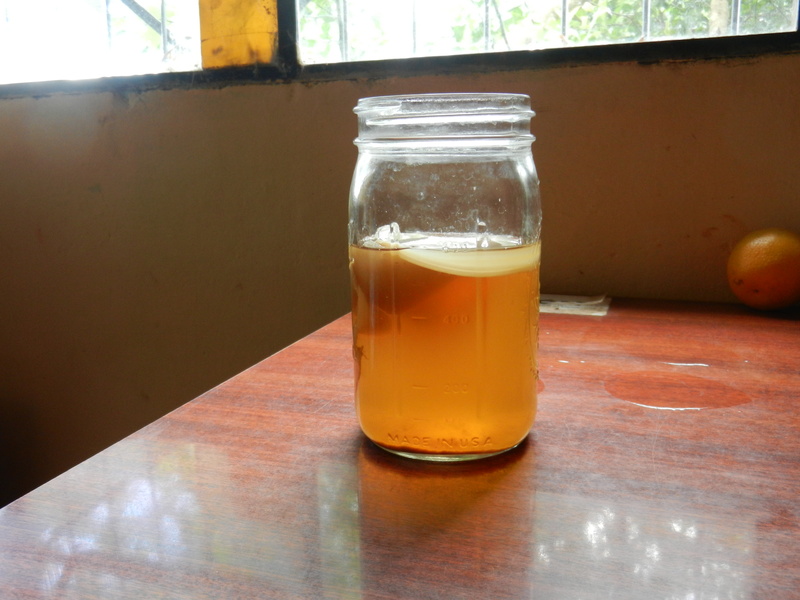 If you’re a PCV and would like a SCOBY to start your own, give me a shout. I have lots of extras to share! Love this addition to the blog! Thanks, Elizabeth!! If you try any of the recipes, let me know how you like them! 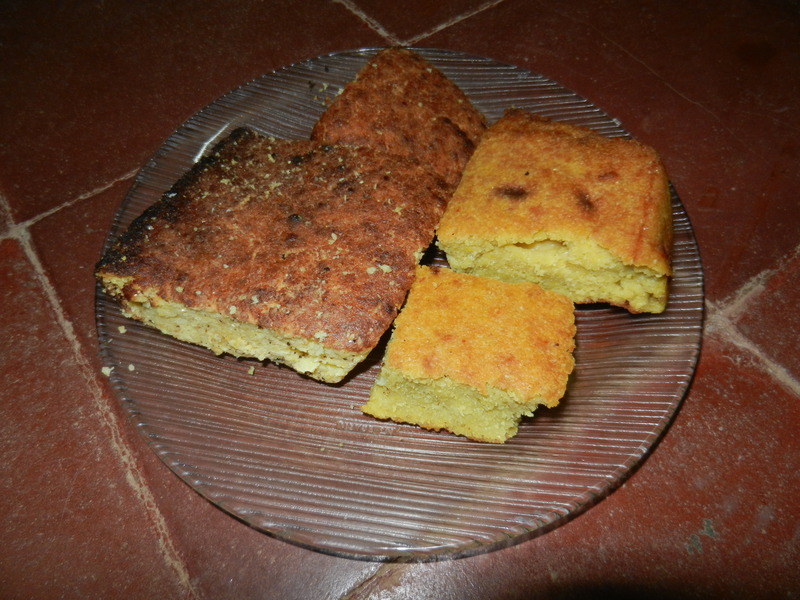 Do you have any good recipes from Paraguay that my son could bring into school? He is doing a report and would like to bake something to share with his classmates.